A Bradford VT man is facing multiple charges including Transportation of a Controlled Drug after Lebanon Police stopped him for speeding. Police say David Hayward 20 was stopped after an officer observed him traveling 90-100 mph on I-89 near exit 20. The officer smelled marijuana coming from the car and during an investigation police found 1/2 lb of marijuana and evidence that Hayward was engaged in the sale of the drug. Hayward was arrested and charged with Possession of Marijuana with the Intent to Sell and Transportation of a Controlled Drug, Operating after Suspension, Possession of Drug Paraphernalia and Minor in Possession of Alcohol. Hayward was released on $2,500 personal recognizance bail and is scheduled for arraignment on July 11 in Lebanon District Court. Lebanon Police were called to Storrs ski area shortly before 7:30 pm last night. Police received a complaint of loud noises and voices yelling racial slurs. Witnesses say that damage was done to some of the out buildings and several people were taken into custody. It is believed that underage drinking was involved. WUVR will bring you updates when they become available. Newbury and mutual aid firefighters were busy yesterday afternoon and evening fighting a large brush fire. The fire in the area of Gillingham Drive and Sutton Road started shortly before 4:00 pm. The rapidly moving fire was threatening homes near the Sutton Road end of the blaze, but crews were able to stop the fire from spreading to them. Although the fire was deemed under control shortly after dark, crews remained on scene throughout the night to monitor any hot spots. A NY man led NH State Troopers on a chase after he was clocked driving a Kia at a 120 mph on I-89 in New London last night. Trooper Ryan St.Cyr pursued the 2015 Kia but the driver did not stop. Another Trooper on I-89 in Warner used a controlled deflation device to puncture the Kia’s tire. 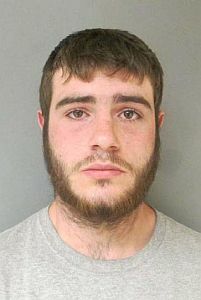 William Cole 25, of Kattskill Bay NY pulled over a few miles later and was taken into custody. Cole was charged with Disobeying a Police Officer, Reckless Driving, Reckless Conduct, and Driving Under the Influence of Drugs. Mr. Cole was transported to the Concord Hospital as a safety precaution due to a suspected impairment issue involving drugs. The investigation is on going and bail has not yet been set. The Sutton and New London Police Department’s assisted the State Police. Law Enforcement Officials are asking for the public’s help in locating a fugitive gang member. The U.S. Marshals – NH Joint fugitive Task Force is looking for Raymond Aviles Rios, 28. His last known address was a federal halfway house, the Hampshire House on Elm Street in Manchester. Rios was serving a 55-month federal sentence for a bank robbery in December 2011. He also has a long criminal history involving crimes of violence and is considered dangerous. Rios fled the halfway house on Monday afternoon after learning of rule violations. He was last seen wearing black pants, a grey-blue Under Armor sweatshirt with the Under Armor symbol printed in green and a dark colored baseball cap. Rios is a white male, 5’10”, 192 pounds with brown hair, brown eyes, and numerous tattoos including, Cross on the front of his throat, and many others. Any information regarding the whereabouts of Rios please contact, Deputy U.S. Marshal, Jeffrey White. Deputy White can be reached at 603-225-1632. Keene police are seeking the public’s help with finding a suspect that passed fraudulent $100 bills. Police say the paper bill itself is real, but appears to be a $20 bill printed over to display as a $100 bill. The strip within the bill reads USA TWENTY. Although the bill now presents the “100” at each corner and the centered president is clearly Benjamin Franklin, the watermark president on the right side is Andrew Jackson. The bills were passed at Circle K and CVS at their West Street locations, on May 3 and May 4 respectively. A West Fairlee VT man was charged with disorderly conduct and unlawful mischief after he pushed a man through a window of B&B Market on Thursday. Police say Jason Cilley 35 confronted 43-year-old Rick Towle also of West Fairlee and pushed him through the window. Police also discovered that Cilley had slashed two of Towle’s tires. Cilley was released with a citation to answer the charges on June 22, at Orange County Superior Court. On Sunday, Newport Fire-EMS responded to residential fire just after 6:30 pm at 3 Golf Club Rd. A 1st Alarm was called when firefighters saw smoke showing from the front door of the single-family residence. The crew found the basement fire starting into the first floor but was able to keep the damage minimal. The fire was under control about 6:50 pm. Sunapee Engine and Lempster Ladder provided coverage for Newport. A lone woman hiker was rescued off Mt. Sunapee in Newbury on Sunday afternoon. Just before 1:00 pm, Allison Fredericks 46 of Peterborough called 911. 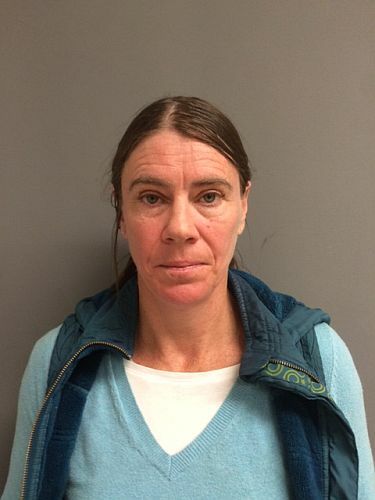 The 46-year old woman was few hours into a three day hike and was on the Sunapee-Monadnock Greenway trail when she injured her leg.. Fish and Game conservation officers and a volunteer search and rescue team rushed to the mountain. Goshen and Lempster Fire Departments set up the staging area. Newbury Fire and Rescue, Upper Valley Wilderness Search and Rescue, and Conservation Officers from the New Hampshire Fish and Game Department responded. Mrs. Fredericks was carried out via the Lake Solitude Trail without event and transported to receive medical attention. Rescue crews used the hiker’s GPS coordinates to find her on the trail. Conservation officers said the experienced hiker was well prepared with the proper gear and this shows everyone needs to be careful while hiking. Operators of a Chester VT animal shelter are facing Cruelty to Animals charges and False Information to a Law Enforcement Officer. Chester police say Mary Donaldson and Jessica (Remy) Fecteau of Webster House were cited on Sunday, after a 3-month long investigation. 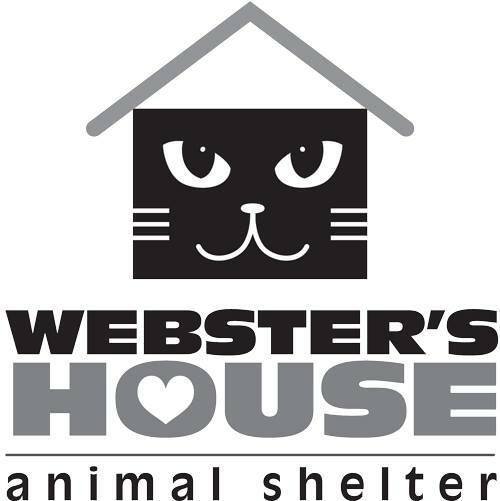 Webster House originally opened as The Animal Rescue and Protection Society, Inc. opened in 2000 and changed their name to Webster’s House Animal Shelter in 2015. The organization took in mostly domestic and feral cats. The shelter closed in early April after losing its lease. Donaldson and Fecteau will appear in Windsor Superior Court on May 24, 2016 to answer the charges. 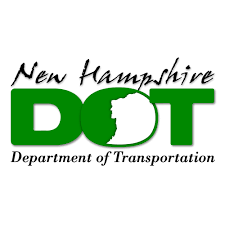 NH State police and the Springfield NH Police Department are investing a driveway paving scam. Police say that on April 28 a paving company began unloading paving equipment and started working on a Springfield resident’s property. The homeowner confronted the paving crew who coerced the owner to allow a low cost paving project. Ultimately, the paving was much higher than originally quoted. Another victim agreed to pay over$10,000 for paving and the crew left the job incomplete. State Police ask that anyone with information regarding the scam to contact Trooper Michael McLaughlin at 603-223-8855 and if you are approached by a paving company under these circumstances, contact your local authorities. Today Temescal’s Alternative Treatment Center (ATC) for medical marijuana opens in Dover. Temescal is expected to receive its certification for their Lebanon dispensary in the next few weeks. Temescal is a non-profit organization and the price of cannabis will be the same as the street price to prevent patience from re-selling it and to prevent others from obtaining registration cards to get marijuana. Vermont State Police seized 418 bags of heroin after a speeding stop on I-95 on Wednesday. Police said they suspected the driver Shawn Gardner 30, of Newport VT was impaired. Officers discovered that Gardner and his passenger Brandon Sheltra 20 of Newport Vermont had 418 bags of heroin in their possession. Gardner was charged with DUI-Drugs, Possession of Heroin, Trafficking Heroin and Importation of Heroin. Sheltra was Possession of Heroin, Trafficking Heroin, and Importation of Heroin. Bail was set at $20,000 bail for Gardner, and $10,000 bail for Sheltra. Both men were remanded to the VT Dept. of Corrections-Springfield. A Lebanon man was charged with two counts of Aggravated Felonious Assault late Monday night. Police say they arrested Romero De Jesus 35, of Hanover Street after an investigation that he sexually assaulted a former girlfriend. About 40 people attended a public hearing, last night on a proposed sculpture in Claremont’s bullpen. Artist Ernest Montenegro had proposed the arch designed sculpture several months ago and was met with opposition for taking away the parking spaces. Montenegro’s redesign of the project keeps the parking spaces with two18 foot high arches on the edge of the downtown square. It also keeps the fountain on the south and creates a gravity fed small waterfall on the north end. Meg Hurley who moved to Claremont about 5 years ago feels Art brings vitality to a community. George Caccavaro a forty-year resident of the City expressed his dislike for the location. An $18,000 engineering study is needed in addition to the cost of the project. Montenegro said a very rough estimate for the art is $350,000, which will be raised through private funding. The project needs the approval of the Claremont’s City Council before any engineering studies are done, and the project on the agenda for their May 11 meeting. A Springfield VT man was arrested for possession of heroin on Monday. Springfield police say Joseph Morin 33, was allegedly found in possession of heroin while officers were assisting Springfield Probation and Parole at Morin’s residence. Joseph was issued a citation for the alleged Possession of Heroin and Probation and Parole transported Joseph to Southern State Correctional Facility. Morin is scheduled to appear in Windsor Criminal Court on June 14 to answer the charges. 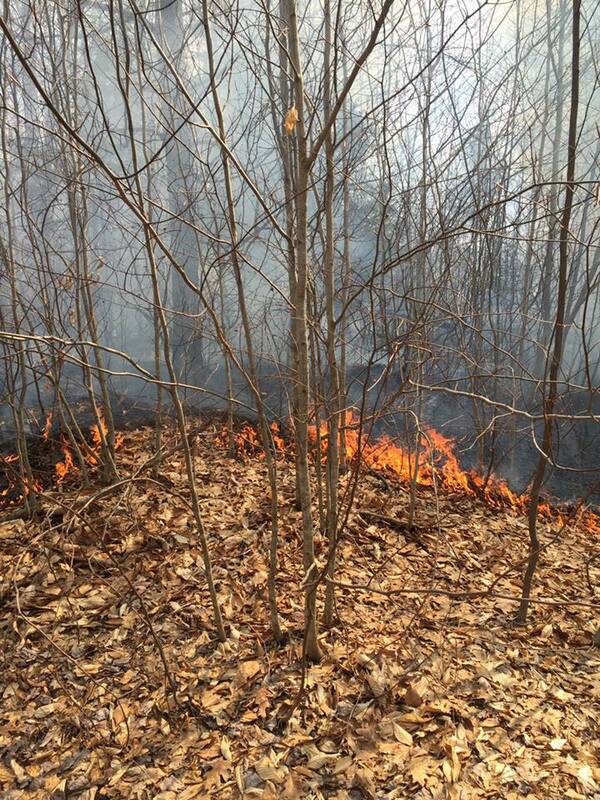 A brush fire that burned over 30 acres in Alstead NH on Saturday has been deemed suspicious. The fire off the area of 1122 Alstead Center Road (Rte 12A) started about 1:30 pm and was about 2 acres in size. However, dry conditions and winds rapidly escalated the fire to a 4-Alarm and 12 fire companies from Vermont and New Hampshire to fight the fire that grew to over 30 acres. Route 12-A was closed between Walpole Valley and Pratt Roads. Flame lengths on the north flank reached up to 15 feet at times. The fire was contained before dark but firefighters were back early Sunday morning to put out remaining hot spots. The Alstead fire is latest in suspicious fires in the area. Last Tuesday Keene had several suspicious fires off Rte 9 Base Hill Road and the top of Chesterfield Hill. Last Monday an Ascutney motel burned down after a juvenile started a brush fire and on April 25, Stoddard Fire Fighter was charged with Arson for two brush fires that burned over 200 acres. Good news for salt water anglers you can now catch five times the amount of haddock. New federal and state rule changes increase the bag limit and season for haddock are now in effect. The restrictions were eased because last year’s stock assessment for haddock population showed a substantial increase. • The recreational limit for haddock has increased from 3 to 15 per day. • The seasonal closure period for recreationally caught haddock was shortened to March 1 to April 14 annually. The recreational fishery for cod remains closed. The new rules apply in both state and federal waters but federal rules will not be effective until May 1. Dartmouth Sports has named Laura Schuler, head coach of the Hockey Canada women’s team, as the new head coach of Dartmouth College Women’s Hockey. Also named was David McLaughlin of Northeastern Men’s Basketball who will be the head coach of Dartmouth College Men’s Basketball. They join two other recently named coaches: James Holder for the Dartmouth College Swimming and Diving; and Gilad Doron, the new Dartmouth College Women’s Volleyball coach. 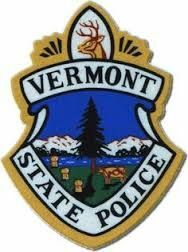 A Fairlee VT man was charged with possession of heroin after Vermont State Police arrested him for an outstanding warrant. 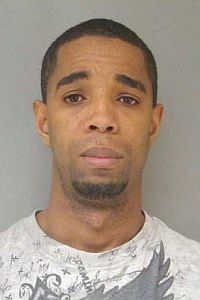 Police say they arrested Marcus Smith 34 after they received a tip. During a search, officers found 2.9 grams of heroin. Police charged Smith with being a wanted person and possession of heroin and lodged at Northeast Regional Correctional Facility on $5,000 bail. 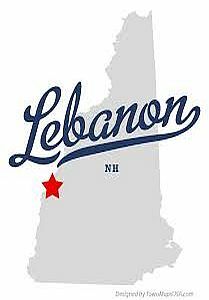 Weather permitting the city of Lebanon will be flushing water mains through hydrants to maintain water quality in the distribution system beginning today between the hours of 7am and 3pm. Residents and businesses in the general area of the following streets should check their water before using. If the water is, discolored or dirty, let the cold-water taps run for a few minutes and the water should clear up. Washington’s project to repave the Transfer Station will begin this Tuesday, May 3, 2016 (weather permitting). The work will be completed over a number of days and is not expected to impact resident’s use of the Transfer Station. The station will be available during regular operating hours.